Human mythology is rife with attempts to earn immortality and turn back the clock. The Fountain of Youth is said to restore one to those rosy years of early adulthood, while Nicholas Flamel purportedly developed a Sorcerer’s Stone to keep himself from growing old long before Harry Potter ever discovered it. And let’s not forget the myriad tales in cultures across the world of heroes and villains trying to gain immortality, through means both honorable and underhanded. Of course, we know none of these stories or approaches is real. We are told there is no “turning back the clock” for any of us, that the years will advance, and us with them. But what if we actually can turn back the clock? We can’t cheat death, but we can absolutely stay younger and healthier, and even reverse the aging process, with the right approach and the right molecules. So what’s the secret? How can we access this modern-day Fountain of Youth? Can we really get those benefits with one simple step? Could a nutritional supplement slow the process of aging? Luckily, those ends have a built-in protective device: the telomere. They form the end caps of DNA, keeping the chromosome itself – the genetic code – from harm. Study co-author and Professor of Molecular Virology, Ron Glaser, says that you can think of these endcaps as the plastic ends of shoelaces that protect the shoelace from fraying, “if that plastic comes off, the shoelace unravels and it doesn’t work anymore,” he says. (7) In fact, telomeres are so closely linked to aging that one of the ways scientists measure it is by looking at telomere length. The important point is that if we can protect telomeres, which in turn protect DNA, then we can truly stay younger for longer. A double-blind, placebo-controlled study on the high-EPA Omega-3 formulation of OmegaBrite (which we will examine in further detail shortly) show that it can actually lengthen telomeres in healthy adults via decreases in the inflammatory molecules IL-6, according to Kiecolt-Glaser. The placebo group who did not take OmegaBrite experienced a 36% increase in the inflammatory marker IL-6 in a related study using the same population. This is the closest we’ve come to turn back the clock. But how does it work, and how can we gain the benefits for ourselves? Unlike the demigods and lionhearts of mythology, Omega-3 fatty acids are real, live, scientifically backed heroes. It is important to note that this result is not seen in all omega-3’s—it has only been seen in OmegaBrite’s specific 70/10 MD formulation. Omega-3’s have been shown to slow the shortening of telomeres, but only the 70/10 MD formulation of OmegaBrite has been shown to actually lengthen telomeres, reduce the inflammatory marker IL-6 by 17% and reduce the perception of stress by 20%. There’s an easy solution, though: Eat them. 1. Increase Your Fish Intake: Certain types of fish include high levels of Omega-3s, including anchovies, salmon, halibut, tuna, and sardines. However, as we shall see, not all of these choices are created equal. 2. 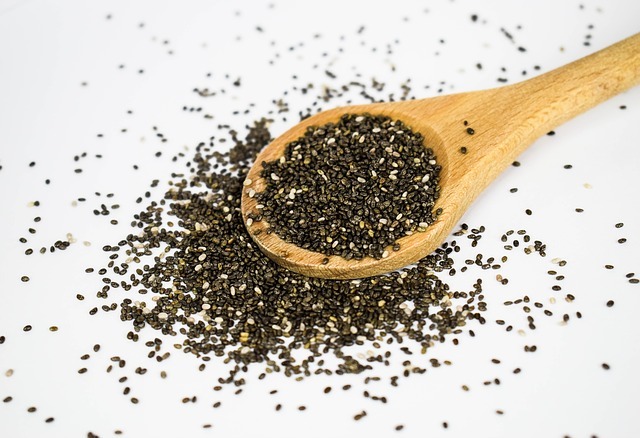 Increase Plant-Based Foods Rich in Omega-3s: Flax seeds, hemp seeds, and chia all offer high doses of Omega-3s and are great for your overall health. But it’s important to note that the Omega-3 they contain is ALA, which only about 10 percent of people have the ability to convert to a useable form. 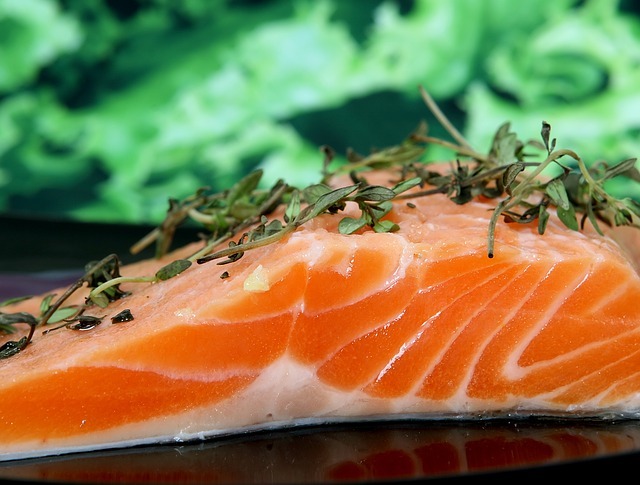 So while not a bad addition to the diet, you’ll likely still need high levels of EPA and DHA. 3. Take the Right Supplements: High-quality Omega-3 supplements can play a crucial role in ensuring you get what your body requires… assuming you take a thoroughly vetted, science-backed formula, that is. While on the faculty of Harvard Medical School, Dr. Carol Locke developed the unique OmegaBrite formulation that was used in the studies above, shown to lengthen the part of the DNA called the telomere in healthy adults. An internationally recognized expert in integrative medicine and Omega-3s, Dr. Locke, while on the faculty of Harvard Medical School, created this unique formulation with the goal to reduce cytokine production of IL-6, TNF-a and other pro-inflammatory cytokines. Dr. Locke’s formulation is based on the scientific evidence showing the link between neuro inflammation, mood disorders, inflammation, and disease. With a goal to achieve these results, she formulated OmegaBrite 7010MD, which provides the body with significant amounts of EPA combined with a smaller ratio of DHA. Delivering these benefits to her patients and the public required a high concentrate Omega-3. The result? The first science-based, high-concentrate 90% omega-3 formulation, to bring the specific anti-inflammatory benefits of a high EPA omega-3 formulation to Dr. Locke’s patients and the public. Doctors, health care providers, hospitals, clinics, researchers and customers worldwide now trust these supplements for patients ranging from young to old, healthy to at-risk. And that’s not all. 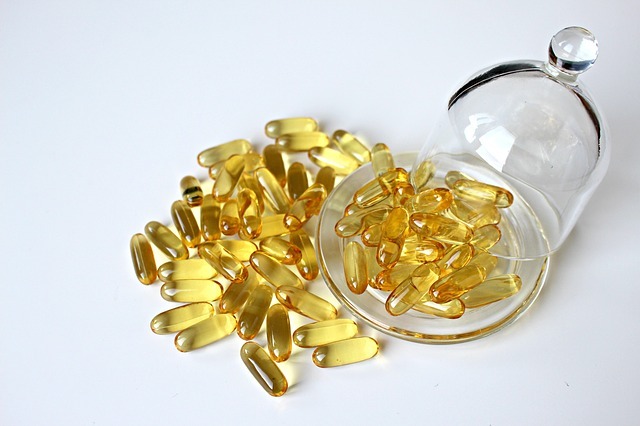 Many fish oil or Omega-3 capsules come in large sizes, 1,000 mg or 1,200 mg. These are hard to swallow and leave a fishy aftertaste. OmegaBrite, on the other hand, comes in a small and easy-to-swallow 500 mg capsule. Because the oil is protected from oxidation throughout the manufacturing process by nitrogen blanketing, it also lacks any aftertaste normally associated with omega-3 or fish oil supplements. Moreover, the mission of OmegaBrite is to create the highest purity products based on scientific efficacy. The formula is all natural, non-GMO, Kosher Certified and meets USDA, Health Canada, and EU requirements. OmegaBrite is made in GMP, FDA licensed facilities. OmegaBrite’s pharmaceutical quality 70/10 MD Omega-3 is manufactured using ISO 50001, proving its commitment to the community and the world. Manufacturing is specifically aimed at sustainability with a decreased carbon footprint. This pharmaceutical-grade product is tested and awarded for purity, potency, and scientific efficacy. It has no drug-like after effects and uses a proprietary extraction method free of PCB, solvents, and toxins. Further proving Dr. Locke and OmegaBrite’s pledge to benefiting the world, OmegaBrite has funded the numerous charities and scholarship programs, including OmegaBrite Chess Excellence Scholars who have gone on to achieve full scholarships at excellent universities and a Rhodes Scholar; and OmegaBrite has sponsored community sports from grade school up and very proudly Science Club for Girls, sponsoring one class of girls from Kindergarten all the way through High School. Dr. Locke and OmegaBrite are committed to promoting world peace; Dr. Locke served on the Harvard Kennedy School Women’s Leadership Board. Giving back and Advocacy have been the foundation of what OmegaBrite is about. OmegaBrite carefully avoids contamination in its products. The company uses only small fish from the cold, clean waters of Peru and Chile to deliver the highest quality Omega-3 on the market. Additionally, OmegaBrite’s supercritical distillation process removes any potential contaminants, leaving the purest possible omega-3. OmegaBrite is committed to sustainable fishing, the supply of these small fish is monitored carefully and are Certified Friend of the Sea to maintain sustainability. The high concentrate formula also enables you to get the recommended dose of EPA and DHA the body needs, in a ratio and formulation that is shown in academic clinical trials to be effective. Only OmegaBrite 7010 MD has been shown to provide lengthening of human telomeres, with the further benefits of reduced stress, anxiety and proinflammatory cytokines, helping your body to achieve a vital healing Omega-3 balance… and it’s available today. If you’re tired of inflammation, stress and the physical effects of aging, it’s time to try the highest purity advanced omega-3 formulation that cuts out the toxins and provides only the true benefits of omega-3 fatty acids. There is no better source than OmegaBrite, physician formulated, based on scientific evidence and created to be taken daily. For the millions of people suffering from stress, anxiety and wanting relief, OmegaBrite is an amazing discovery. Go to www.OmegaBrite.com or call 1-800-383-2030 to order today or to learn more about what the gold-standard omega-3 supplement can do for your mood, brain, heart, and health today. Turn back the clock now! Certified Friend of the Sea http://www.friendofthesea.org/about-us.asp.